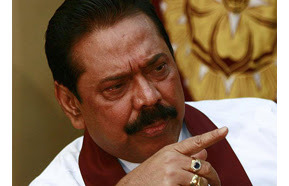 The gazette notice on the establishment of Northern Province Provincial Council which has to be singed by the President Mahinda Rajapaksa today (05) will be sent to the press to be printed, reports government higher sources. The government has previously announced that the North election will be held on September along with Northwestern and Central province provincial council elections. Accordingly, the North elections will be held on September along with the other two provincial councils. However the government has to establish a provincial council in North in order to do that. Therefore, this will be the first North election, which will be held after establishing a provincial council in North. The particular gazette notice will be provided to Election Commissioner in order to make arrangements to hold the election in Northern province. The North Western and Central Provincial Councils scheduled to be dissolved at midnight today, Government sources told Ada Derana a short while ago. President Mahinda Rajapaksa held a special discussion with the Ministers and the Members of Parliament of these provinces on July 3. Polls for the Northern, North Western and Central Provincial Councils will be most probably held on September 21 or 28, the Elections Commissioner stated on June 24. Central Province Governor and the NWP Governor stated that they signed the dissolution letter on the request by the Chief Ministers to dissolve the council.